Anybody who has known me for more than, oh, twenty minutes has probably learned about my long-time fascination with Richard III. I wrote all about it for Open Letters last year. Little did I know that if I’d only held back my piece for a few months, I could have ridden the wave of Richard III-mania stimulated by the amazing archaeological project undertaken by the University of Leicester. As everybody knows by now, their work culminated in the announcement, just yesterday, that the skeleton in the car park is almost certainly Richard’s. The University has put together a fascinating, comprehensive site about the whole thing. I know there are those who find this all distasteful: sensational, pandering to the media (and to the forces pressuring academics into proving their public “impact”), making a circus out of research … or just unfortunate because of the emphasis on a famous figure, as if archaeology and history are less interesting and important if they focus on ordinary people and ordinary lives. I have some sympathy for that last concern: there are many who “rest in unvisited tombs,” and there are lots of reasons to value and tell their stories: in the last century or so there’s been a transformation in historical priorities precisely in this direction, away from a focus on great men (and the occasional great woman). Still, I can’t see raining on this parade. Aside from the intrinsic excitement of discovery, of adding some certainties to a centuries-old mystery (here’s a piece of the puzzle that has been missing for over five centuries, after all! ), isn’t there something exhilarating about seeing a wider public get excited about something like this? Who knows what might be the wider effects–benefits, even–of sparking people’s imaginations in this way. Individual stories bring history into focus: they help us think about it as something that happens to real people. And this truly is a sensational story. 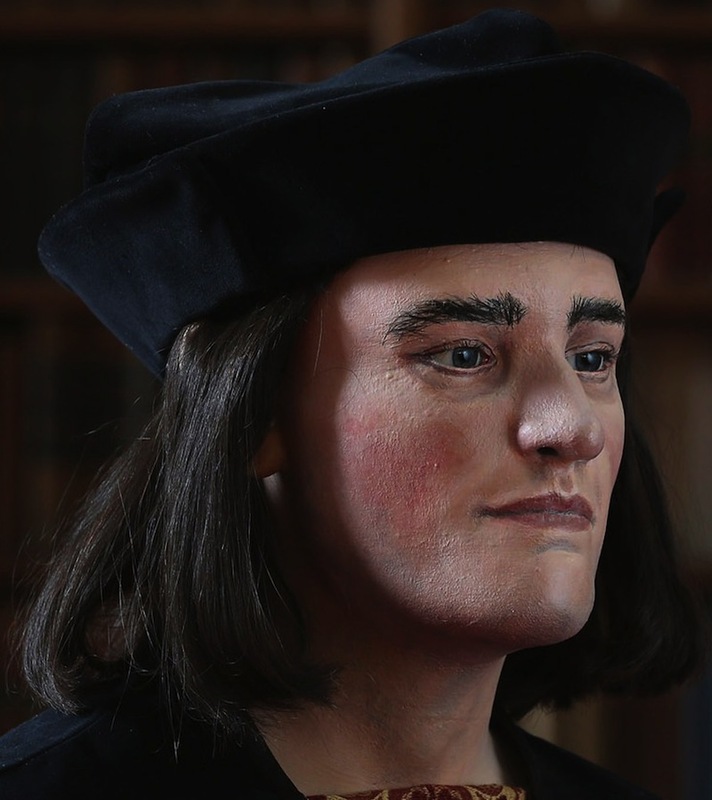 From the Richard III Society site, the facial reconstruction based on the discovered skull. Updated: Thanks to my Open Letters essay on Richard III (linked above), I was contacted by Kate Taylor of the Globe and Mail to chat as part of her research for this piece on the continuing appeal and controversy of his story. 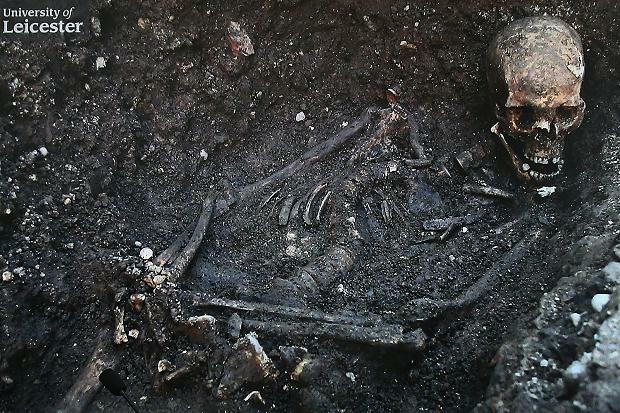 I also like the way the skeleton verifies aspects of the story, like the death-wound on the skull, and the curved spine. How exciting! Gives me chills. Reminds me of our own famous skeleton, believed to be Bartholomew Gosnold, who plays a key part in our founding myths here in Virginia. This being a household in which we all believe that Richard III was a Good Thing (not to mention a Good King) there has been, as you might imagine, much excitement. I worked in association with the University of Leicester for some years so feel as if I have a microscopic link with all the wonderful research that has been done. As soon as the body has been reinterred in Leicester – only a short train ride away – we shall be having a family pilgrimage. And, as you will appreciate, that will be a sight for sore eyes.